Tulamben is a quiet village on the northeast coast of Bali, facing the Lombok Strait. Divers occasionally meet mola-mola sunfish, hammerhead sharks and whale sharks in the waters of Tulamben. Its biodiversity and location make Tulamben one of the best dive sites in the world. Complete with its own wreck, the USAT Liberty, which sank in 1963 when Gunung Agung erupted, the easy access to this wreck adds to the village’s charm. The wreck is also home to a group of bumphead parrot fish. 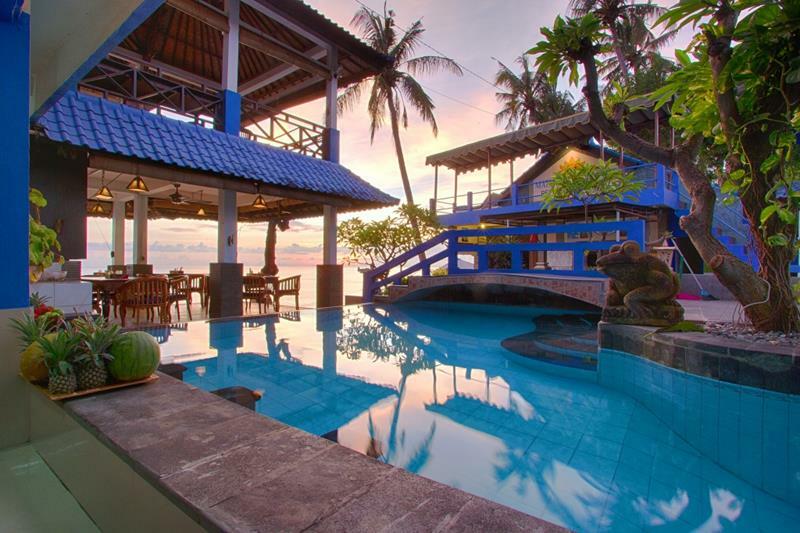 Matahari Tulamben Resort, Dive & SPA is a beach front resort and located in the Center of Tulamben Village. In Tulamben now you will find an ATM but you can only take RP 2.500.000 per withdrawal. 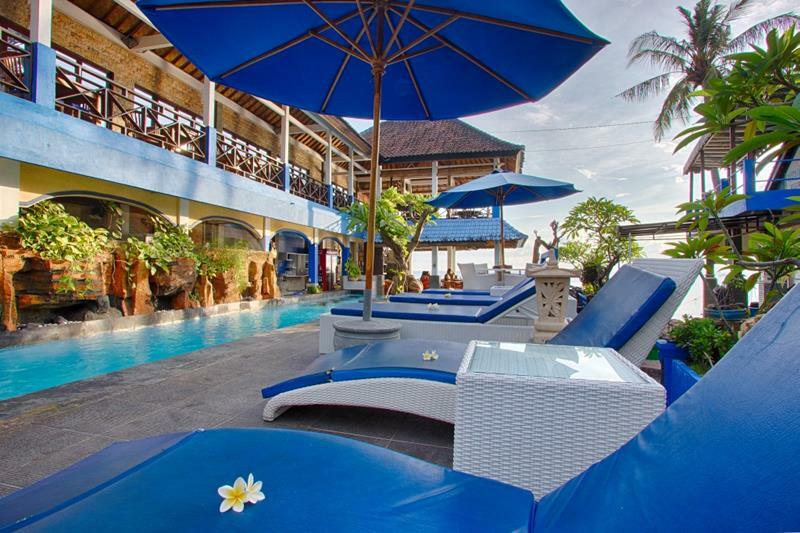 Matahari Tulamben Resort, Dive & SPA offers in the whole area and in all rooms free WiFi. It's complimentary and when the WiFi sometimes not working well, it's the responsibility from the provider and not from Matahari. The resort has already 2 hotspots for the rooms and 1 hotspot for the restaurant. 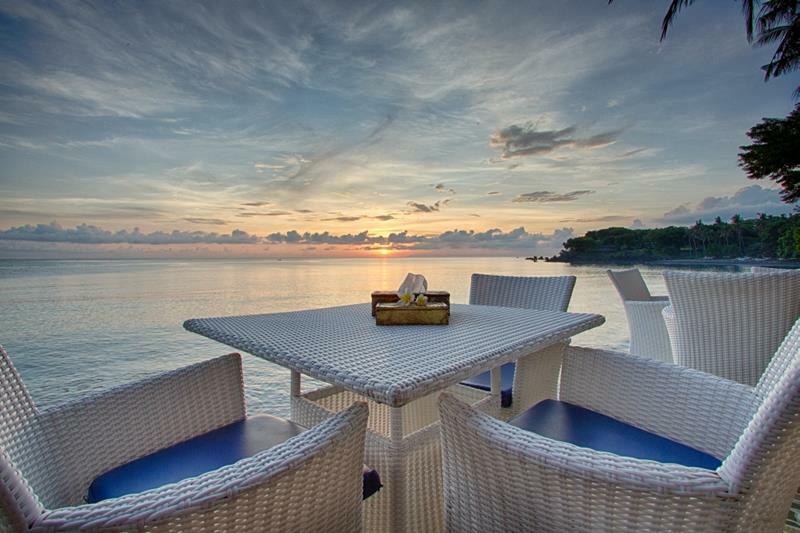 The restaurant is located at the beach, where friendly staff is waiting to serve you. The Matahari Tulamben Dive Center is running over 20 years and also directly located at the beach. In front you will find a nice Coral Garden and only a short walk away the USAT Liberty Wreck and the Drop Off. The dive staff is ready to serve those who want to enjoy Tulamben’s underwater natural beauty. 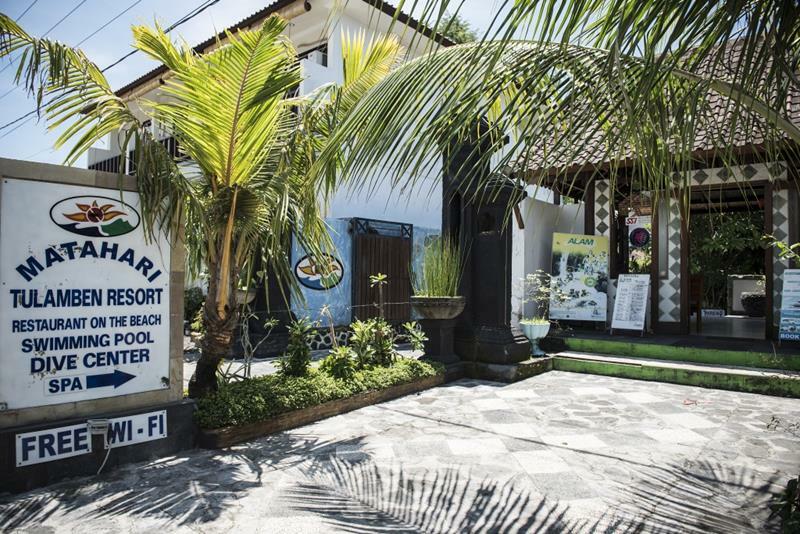 In 2012 Matahari Tulamben Dive Center startet to create "Suci Place" just in front with different artefacts. The project will extend with other objects. Other dives spots like Scuba Seraya, Alamanda, Batu Kelebit, Batu Belah, Batu Ringgit or Kubu are near by and easy to reach by boat or car. On request dive safaris around Bali or day trips to Amed, Nusa Penida or Menjangan are possible. The SPA is close to the beach and has experienced staff. They are waiting for you and you can enjoy relaxing massages and beauty treatments. If you like to become familiar with Bali, the Culture and the beautyfull nature you can make tours around Bali. Suci offers different sightseeing tours and climbing so you can explore Temples, Vulcanos, ricefields and local villages or see where they make "Kopi Luwak" . Motorbikes for rent and laundry service available. Transfers from and to the airport or any hotel in Bali are also offered against a fee, so you can enjoy your holidays from the first moment in our AC-cars. If you arrive at the airport the driver can stop for exchange money in Candi Dasa, the rates are normally better then at the airport. Visa-on-arrival: Since 13.06.2015 Indonesia is visa free for visitors from 45 countries for 30 days. To check if you have to pay visa fee please have a look to "wikipedia visa indonesia". If you don't have time to stay overnight in Tulamben, the resort offers "Exclusive Day Trips" to Tulamben for divers and people, which want discover the amazing underwaterworld and see the USAT Liberty wreck. Non-divers are also welcome with pleasure. 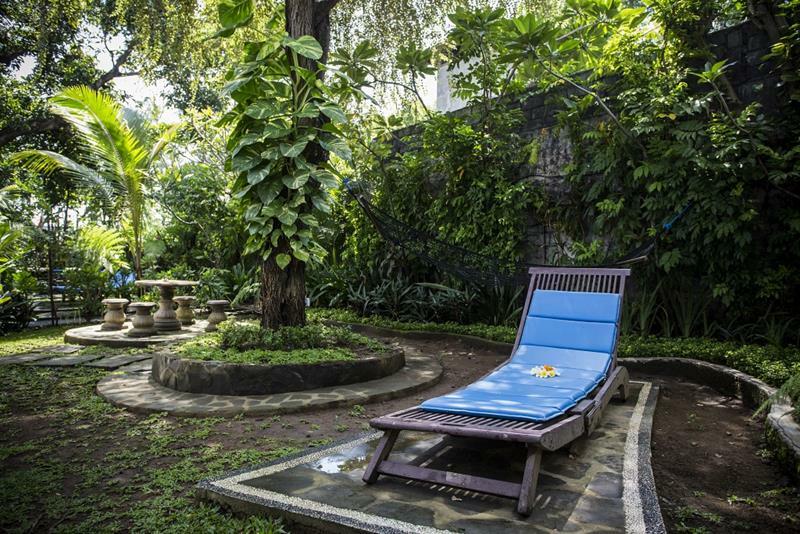 Matahari Tulamben Resort, Dive & SPA likes to pamper the guests. Suci together with all staff try to make your holidays unforgettable. But please keep in your mind: You make holidays in a Balinese Company and Suci manage the company like a family. If you like to be close with Balinese people and see about their Culture you will be in the right place. And if you think something is not so perfect like you expect, please talk with Suci and she will help you. Because Suci really want you enjoy your holidays in Matahari Tulamben Resort, Dive & SPA and you take home nice memories. All travelers to Bali must be aware that each year Bali celebrates Nyepi Day, a holy day of complete silence for Balinese Hindus. All residents of Bali must remain indoors and no noise or outside activity is allowed. It starts from 6 am to 6 am next day. The streets, beaches and airport are completely closed as well and our kitchen will close at 7 pm. VISA and MASTER Cards are accepted and also PayPal (plus 3 % processing fee! ).